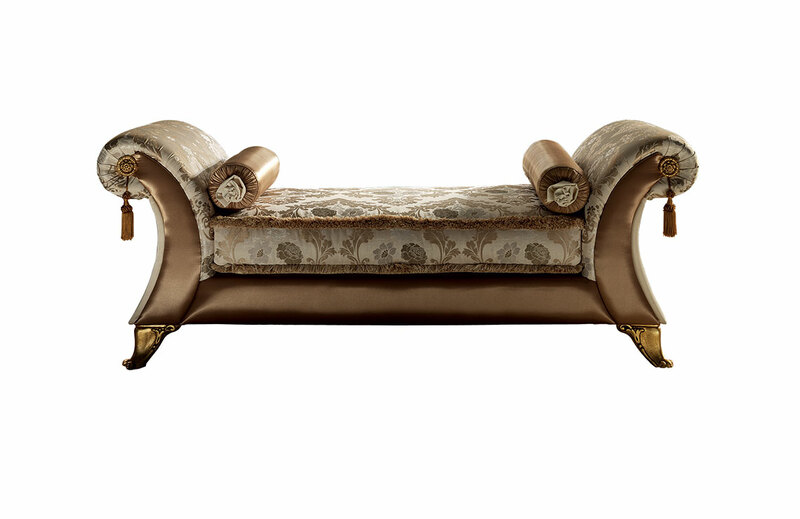 The “Vittoria” Chaise Longue is an element of classic design which transports us back to the dreamy atmosphere of the belle époque. It fits in with both living and sleeping areas with its dynamic and elegant lines, bringing sophistication to your rooms. Strong profiles and refined finishes make it an original feature with a unique charm.